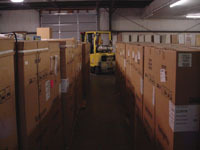 Midwestern Unlimited now offers wholesale truckloads of new scratch and dent large appliances. 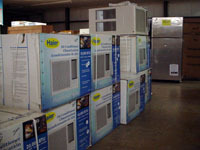 Units include all sizes of refrigerators, freezers, wine coolers, windows air conditioners, and much more. 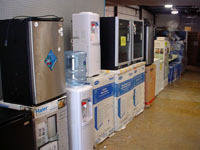 Buy direct from Midwestern Unlimited your #1 scratch and dent large appliance wholesaler. We are not a broker - avoid the middle man! 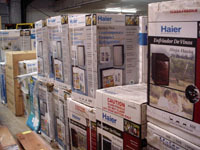 All units have been inspected and tested and most are in their original cartons. Midwestern Unlimited and the manufacturers will not be held responsible for any errors and/or accuracy of values. Transportation arrangements and charges are the responsibility of the buyer. Units carry no factory warranty.